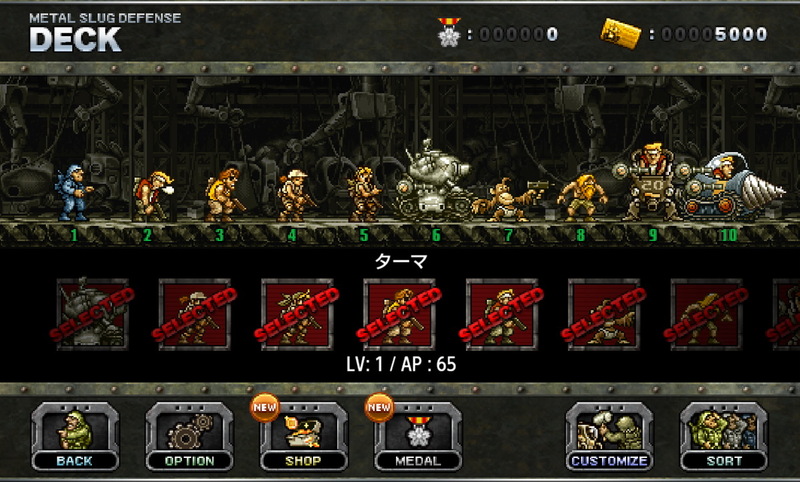 Anyone who has played video games and console games in the late nineties will be familiar with the popular run and gun Metal Slug series. Having enjoyed the thrills and spills of taking down a large number of enemies with a single powerful weapon, it takes a bit of getting used to seeing this one a tower defense game. 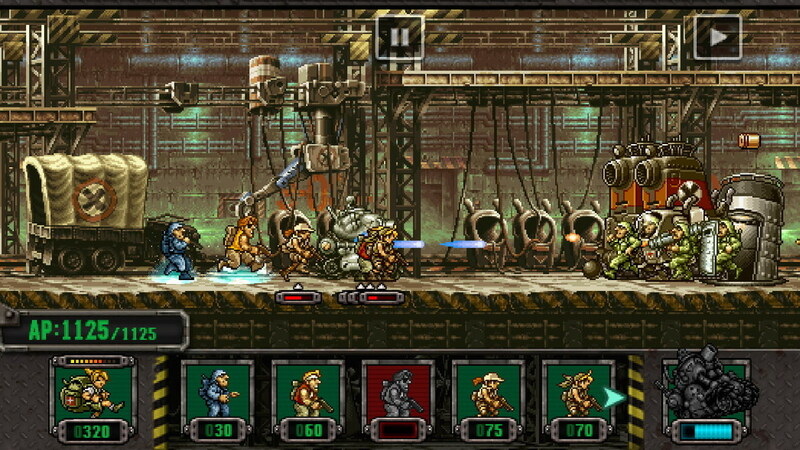 But SNK Playmore have reimagined the game rather well in Metal Slug Defense. You’ll still find yourself in the old familiar Metal Slug universe with the gorgeous retro graphics and oversized tankers with mindless violence to boot, but you’ll play more strategically this time by placing your units at the desired points in the battlefield. The game features over 60 different characters and units and you can customize them to your will. 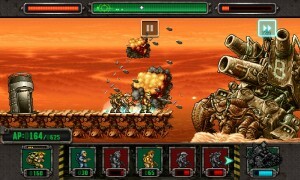 You can also make use of special attacks such as the METAL SLUG Attack to turn the battles in your favor. 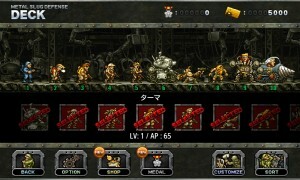 Tower Defense games just won’t do without a multiplayer option and Metal Slug Defense does offer its share of online battles. You’ll have to complete the tutorial mode to unlock it though. 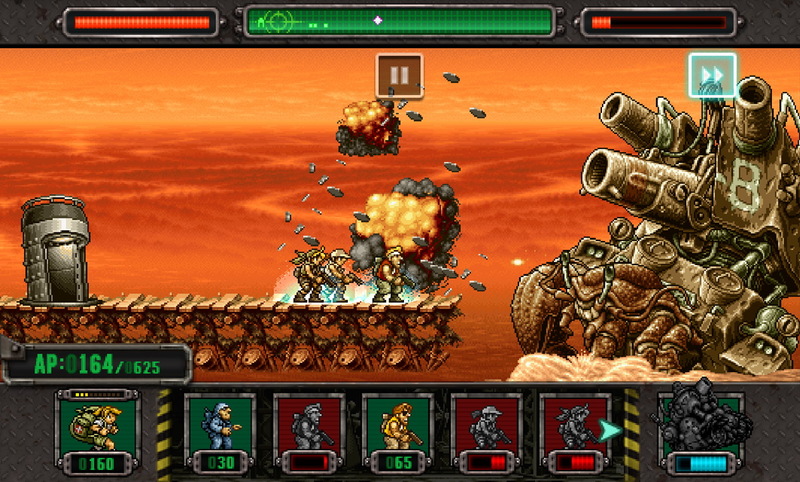 Metal Slug Defense is free to play and even if you haven’t played the franchise before, you’ll find that its certainly worth taking a look at. Hit the link below to grab the game and don’t forget to share your views on this reimagined title.